By Alfred H. Paddock, Jr.
On November 14, 2006, Deputy Secretary of Defense Gordon England signed a memorandum that reassigned US Army reserve component civil affairs (CA) and psychological operations (PSYOP) units from the US Special Operations Command (USSOCOM) to the US Joint Forces Command (JFCOM). These units were further assigned to the US Army Reserve Command (USARC). As will be shown, this divorce, as it became known, enhanced PSYOP support of special operations forces (SOF), but diminished the employment of this capability for conventional forces. I will examine in this essay how and why the original divorce took place, which may be of some relevance in view of current discussions within DOD concerning possible reversal of that decision. Toward that end, over a 20-month period I collected a substantial number of documents and conducted interviews of personnel - active component (AC) and reserve component (RC)) as well as retired individuals in both categories. Quite a few requested non-attribution of their comments. To begin the story, some historical context is in order. In 1984 a presidential order directed the Secretary of Defense to rebuild military psychological operations capabilities. 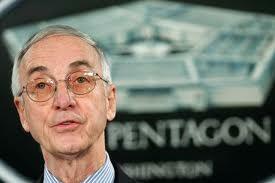 The result was a PSYOP Master Plan approved by Secretary of Defense Casper Weinberger in mid-1985. Representatives from all of the services participated in the planning. 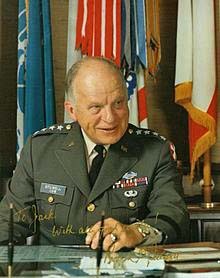 As Deputy Undersecretary of Defense for Policy, retired Army General Richard Stilwell was a primary force in the creation of the master plan; indeed, he personally wrote important portions of the document. The authors of the 1985 Master Plan believed that, in general, the subordination of psychological operations to special operations detracted from recognition of the overall applicability of PSYOP in times of peace, crisis, and war. They also believed that psychological operations were sufficiently important to warrant the creation of a joint center dedicated to the long-term development of this unique capability. 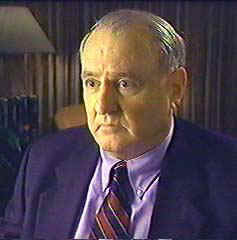 General Jim Lindsay, USA, first commander of the United States Special Operations Command (USSOCOM), lobbied to overturn Secretary Weinbergers decision on separation of PSYOP from special operations, as did the Army and joint staffs. The loss of all AC and RC civil affairs and psychological operations units - a sizeable slice of the force structure - would have made it more difficult to justify a four-star command USSOCOM at MacDill Air Force Base in Florida, and a three-star US Army Special Operations Command (USASOC) at Fort Bragg, North Carolina. They were successful. On October 20, 1987, Secretary Weinberger reversed his decision and assigned Army and Air Force active and reserve component psychological operations and civil affairs units to USSOCOM. To be sure, there were two major arguments for inclusion of PSYOP and CA in USSOCOM: these units would have a four-star sponsor, and they would benefit from participation in a special operations financial program. Curiously, however, these units were not officially designated as special operations forces until March 3, 1993, in a memo signed by Secretary of Defense Les Aspin. Nevertheless, PSYOP became part of the discussion on the issue. 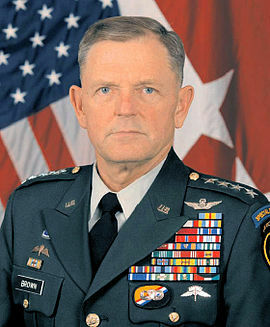 In a letter to General Richard Meyers, Chairman of the Joint Chiefs of Staff, on March 30, 2004, General Bryan Doug Brown, Commander, USSOCOM, stated that he was convinced that all PSYOP functions should remain under USSOCOM. As we shall see, later he was to change his mind. The Tiger Team included representatives from several headquarters, to include USSOCOM and USASOC. 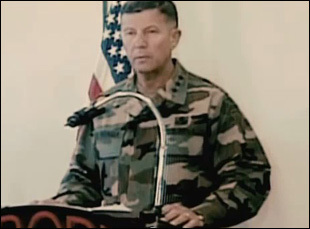 At its initial meeting on June 9, 2004, the team decided that its mission was to determine the assignment of CA and PSYOP forces that best supports Army operations and, ultimately, provides the best possible support to the nation. It analyzed three concepts, one of which mirrored LTG Kensingers plan to separate reserve component CA and PSYOP units from SOF. The other two would assign all PSYOP and CA units to Forces Command (FORSCOM), or leave all PSYOP and CA units assigned to USASOC - often called the all out or all in options. Jack Braham, a retired Army PSYOP officer assigned to USASOC as a Department of Army civilian employee, was a member of the Tiger Team. He remembers the groups attitude at the outset: Although we believed the fix was in, we did a righteous review of various courses of action and recommended that the status quo be maintained for unity of effort and control. Our general thinking was why fix something that was not broken. In other words, the team believed that it was expected to rubber-stamp Lieutenant General Kensingers concept to separate reserve component PSYOP and CA forces from USASOC. That did not happen. 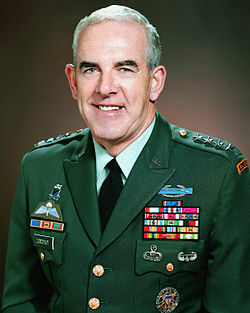 General Cody approved the teams finding and sent a memo to Lieutenant General Kensinger on August 20, 2004, concurring with the teams recommendation. Shortly thereafter, on August 31, 2004, USSOCOM headquarters sent an email to the JCS J3 also concurring with the teams finding. Then, on September 4, 2004, General Richard Myers, Chairman, Joint Chiefs of Staff, sent a memo to Secretary Rumsfeld, stating that The Army has completed its study of the issue. VCSA was briefed on August 26, 2004, and approved a recommendation that all CA and PSYOP units remain assigned to US Army Special Operations Command (USASOC). Finally, on October 1, 2004, USASOC staff members briefed General Brown on the teams conclusions. Undeterred by the Tiger Teams findings, on December 29, 2004, Lieutenant General Kensinger briefed General Brown on his concept that all of the US Army Civil Affairs and PSYOP Command (USACAPOC), minus the active component 4th CA Battalion, be reassigned from USASOC to the Army. Kensinger complained that he spent one-third of his time on RC issues, to which Richardson replied that one-third of his force was in the RC, and that the US Army Civil Affairs and PSYOP Command, which reported to USASOC, should be shouldering much of the burden for him. Kensinger was particularly concerned with the amount of time that USASOC spent on mobilizing and demobilizing Army reserve personnel for active duty overseas assignments. He was unhappy about having to build an ad hoc organization to accomplish these requirements. Richardson agreed that this was a major commitment, but that the 1st Army was principally responsible for mobilizing and demobilizing RC forces. Another officer who attempted to influence the process was Colonel Jack Summe, who became the director of the USSOCOM J-39 Division in September 2005 after having left command of the 4th PSYOP Group at Fort Bragg, NC. The J-39 Division was responsible for overseeing PSYOP matters from a joint perspective. Sometime in early November 2005 the RC members of his staff alerted him on the issue, indicating that J-39 had not been included in the staffing process. Soon thereafter, General Brown held an all hands meeting in the auditorium. When he opened the floor to questions, Summe asked if there was an action underway to separate the AC and RC PSYOP forces. General Brown stated that he was in the process of looking at it and that if Colonel Summe wanted to make any impact on the decision he needed to work it very quickly. In subsequent discussions with USASOC staff members, Summe soon learned that they were very concerned that J-39 at USSOCOM was sticking its nose in where it didnt belong. In one discussion with a colonel at USASOC, the latter indicated that Lieutenant General Kensinger wanted the split to happen and that we were out of our lane and we were to lay off. Summes response was that he had to give his best advice to the Commander, USSOCOM, and that he thought the split would cause a critical gap in overall support to the Combatant Commander in war as well as the potential for the development of conflicting PSYOP messages in a theater. There is a certain irony here in that almost 20 years after having been successful in retaining AC and RC PSYOP forces, in 2006 USSOCOM and USASOC divested itself of the latter. They were no longer needed. Indeed, they had become an administrative burden. A major rationale for doing so was that the RC 2d and 7th PSYOP groups would support conventional forces, while the AC 4th PSYOP Group could concentrate on support of special operations forces. The reality, though, was that AC and RC units were - and still are - designed to be mutually supporting. Predominately tactical RC PSYOP groups and battalions were to be paired with the predominately AC regional battalions, which provided language and cultural expertise. Additionally, the 4th PSYOP Group provided dissemination capabilities that the RC PSYOP groups did not possess. In any event, the USSOCOM Director, Center for Special Operations, Lieutenant General Dailey, asked Summe in early November 2005 to prepare a briefing that would state his concerns about the split. Colonel Summe prepared the briefing slides and gave them to Dailey, who recommended to General Brown that he not support separating AC and RC PSYOP units. By then, however, Summe believed that General Brown had made up his mind to endorse Lieutenant General Kensingers plan. 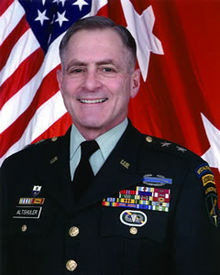 All of this culminated in a meeting on November 22, 2005, during which Lieutenant General Kensinger briefed the Army Chief of Staff (CSA), General Peter Schoomaker, and Commander, USSOCOM, on his proposal to transfer RC CA and PSYOP units to Forces Command (FORSCOM), to be further assigned to the US Army Reserve Command (USARC). Additional attendees were the Chief of Army Reserve (CAR), Commander, USACAPOC, and Army G3. The group agreed that AC CA and PSYOP would remain under USASOC and RC CA and PSYOP would be moved under the USARC. The US Army JFK Special Warfare Center and School, a subordinate organization to USASOC, would retain CA and PSYOP branch proponency. AC CA and PSYOP units would remain SOF, and RC CA and PSYOP units would become conventional forces. This was the key meeting that led to Deputy Secretary of Defense Englands decision memo a year later. Secretary of Defense Donald Rumsfelds predilections had to be taken into account on this decision. General Brown, the USSOCOM commander, felt the Secretary had a much better appreciation for the direct action (DA) forces in SOF over USSOCOMs other capabilities, which included CA and PSYOP units. 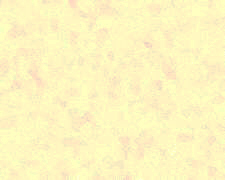 He believed that the Secretary wanted us oriented on DA and wanted to relieve us of everything else. In this case, one way to reduce the focus on other than DA translated into the realignment of RC PSYOP and CA forces from SOF to the Army, thus leaving AC PSYOP and CA units to focus on supporting special operations. As Lieutenant General Kensingers immediate superior, General Browns views on the issue were quite important. When I asked Brown why he changed the position stated in his March 30, 2004, letter to General Myers, he said that he supported the USASOC plan because it aligned RC PSYOP and CA with conventional units in the Force Generation Cycle. Also, USSOCOM and USASOC kept proponency for CA and PSYOP, including doctrine, combat development, and institutional training. He believed that the USASOC plan would insure that RC PSYOP and CA units were trained, equipped and deployed on the same schedule as their AC counterparts. 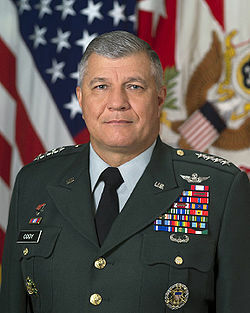 General Brown also thought that the principals came to the November 22, 2005, meeting in agreement to support LTG Kensingers proposed plan that would best support the Army, thus little or no discussion of alternative courses of action took place. Rather, he remembers the how to do it was worrisome as we had a lot of moving parts in these units already, thus that was the focus of their meeting. A diluted regimental concept also illustrates the problems inherent in command relationships as a result of the divorce. Prior to 2006, all AC and RC PSYOP units had a relatively simple chain of command: USACAPOC - USASOC - USSOCOM. After 2006, however, the he AC 4th PSYOP Group reported through USASOC to USSOCOM, while the RC 7th and 2d PSYOP Groups reported through USACAPOC to a more numerous and complex cast of headquarters. The disadvantages of this change become particularly apparent when AC and RC units are deployed in the same theater of operations but have different psychological operations campaigns and messages, thus undermining the need for centralized planning and decentralized execution. The principle of unity of command is endangered. Another example of the problems associated with the lack of a unified command is proponency. Deputy Secretary of Defense Englands May 3, 2006, memo stated that USSOCOM would retain proponency for civil affairs and psychological operations, including doctrine, combat development, and institutional training. In practice, this means that the Commander, US Army John F. Kennedy Special Warfare Center and School (SWCS), who reports to the Commander, USASOC, has responsibility for these important activities for RC PSYOP. The logic, however, of separating RC units from USSOCOM while USSOCOM retains proponency is strained. It should be remembered that the principal customers for psychological operations forces since World War II have been conventional forces. Until the recent past, the AC 4th PSYOP Group dedicated 95 percent of its support to these units, as did the RC PSYOP groups. That was a major reason the SECDEFs PSYOP Master Plan in 1985 directed the separation of all PSYOP forces from SOF - a decision the Commander, USSOCOM was successful in getting overturned in 1987. The 2006 decision has reversed this support ratio for the 4th in favor of SOF, thus diminishing the ability of RC forces to support conventional forces. This action undermined a conscious decision made by the psychological operations community years earlier to integrate the force fully through the mutual support of AC and RC units. This mutually supporting concept is critical to understanding the proper employment of psychological operations. That such a key aspect could have been overlooked or considered unimportant by senior decision makers is puzzling. USASOCs recent creation of a Military Information Support Command (MISC) at Fort Bragg, NC, has only exacerbated the problem. Three (of six) regional battalions have been moved from the 4th PSYOP Group?now the 4th Military Information Support Group (MISG) - to create an additional active component MISG (the 8th). In addition, a provisional MISC headquarters has been formed to supervise the 4th and 8th MISGs. The primary mission of both MISGs remains support of SOF, but their operational concept includes a bridging responsibility to conventional forces until RC PSYOP units can be mobilized to assume the mission. This, however, again presents the dilemma of how best to provide military information operations support (MISO) to conventional forces. If active component MISO units provide initial entry capabilities to conventional forces, then hand these off (bridging) to predominately tactical RC psychological operations forces, who then provides the cultural capabilities that currently reside in the AC regional MISO battalions, as well as enhanced dissemination capabilities? Not the AC regional battalions with this expertise and equipment - they will be engaged in supporting SOF. When I posed this question to a USSOCOM staff officer with long experience in PSYOP during early discussions of this new command, he admitted that it was a valid concern, but that the Army would have to build out the necessary capabilities in the RC for support of conventional forces. In other words, The Army would have to create regional and dissemination units in the RC like those in the active component. In a fiscally constrained environment, this redundancy is unlikely. I see no realistic alternative to retaining the concept of mutual support between AC and RC PSYOP units to provide some level of support to conventional forces. Restoring RC PSYOP units under SOF will facilitate this, but would also result in less support to SOF than envisaged by the operational concept for USASOCs new MISC. In the interest of serving both the Army and SOF, some compromises are necessary. A remarriage of AC and RC PSYOP forces is overdue.